So you and your family and friends have been buying organic food at the grocery store for several years now. When you’re at your parents’ house, suddenly you find organic kale in the fridge instead of canned green beans in the cupboard. You’re not alone! You and your health-conscious cohort are part of a near quadrupling of the organic food market that’s taken place over the past decade. In 2000, when the National Organic Program regulations were finalized, it represented $7.8 billion in annual sales; in 2012, consumers purchased $28 billion in organic products. Did you think big business wouldn’t catch on to (and advance) such an upward trend? 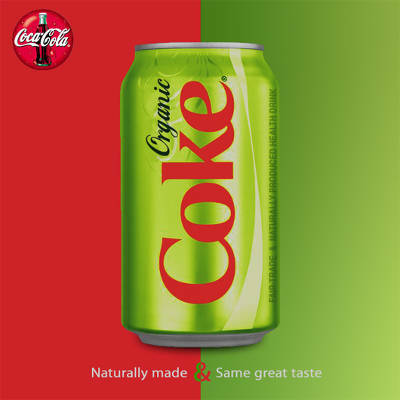 When you’re picking between a can of soda or a bottle of organic juice, companies like Coca-Cola want to make sure you’re always picking Coke—even if you opt for the juice. So back in 2001, the Coca-Cola Company bought juice maker Odwalla and proceeded to put it in many of the stores that sell its less-healthful products. 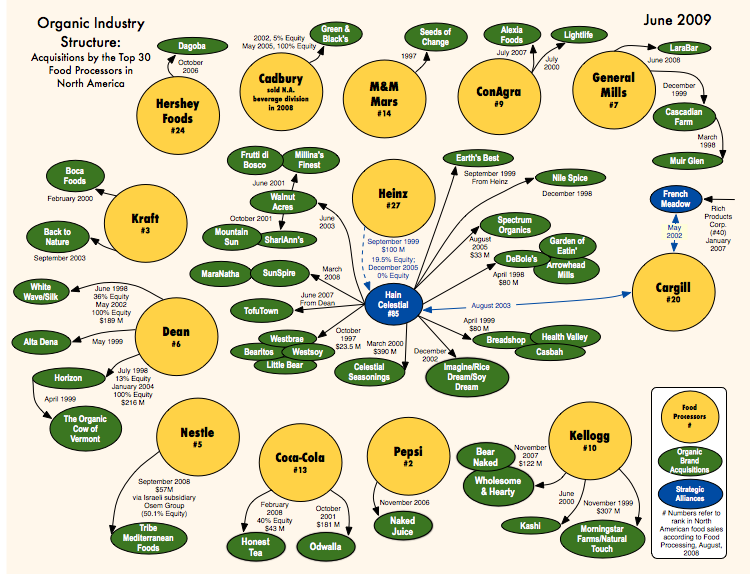 Countless other big food conglomerates have added organic companies or product lines to their portfolios. The interconnectedness of organic vegetables with junk food brands, cold-pressed juices with high fructose corn syrup–laden sodas, are yet another reminder that, meaningful as “organic” may be, this manner of farming is not ideology—it’s business. 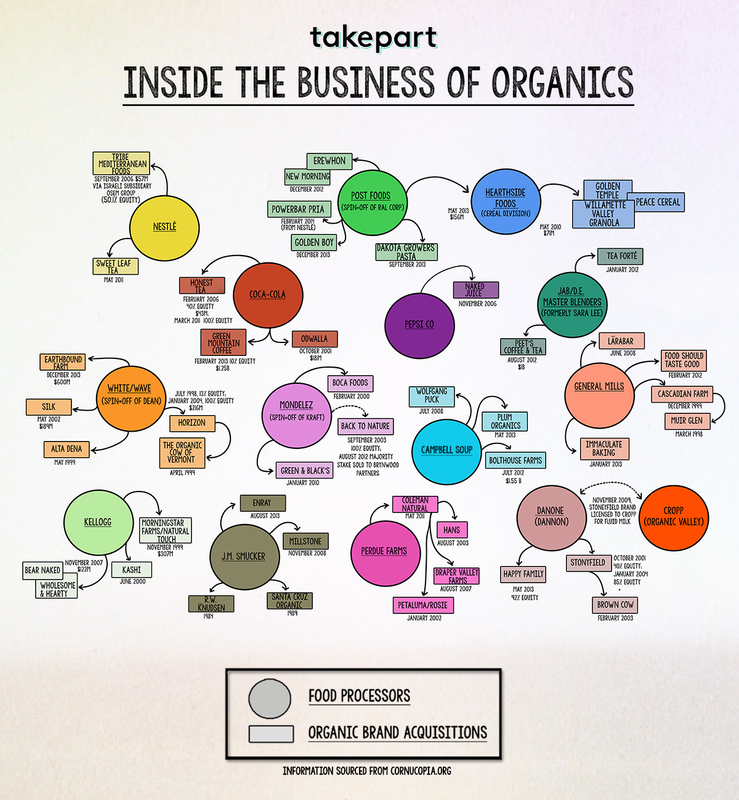 If you want your purchases to have meaning beyond farming practices—to ensure that the hard-earned cash you’re putting down isn’t just going to a lobbying campaign to loosen organic standards—it’s best to know who owns whom in the world of organic food.